The two heroines in Song of the Skylark and the cast of varied characters who feature alongside them, are personable and easy to relate to, the kind you would love to have a cuppa and a chat with. The story easily moves from WWII to modern times and both women’s stories engage you, leaving you wanting to see how they will win through and ensuring you are smiling along with their happy moments. Told alongside Lizzie’s story is a sub-plot involving her parents and, her twin brother and his aloof wife which, by the way, I would love to see developed into their own story (please, Ms James!). A chick-lit story that is both historical and contemporary, it is perfect for either a beach holiday or a winter weekend. It might be a good idea to have some tissues handy. First up: a disclaimer. I’ve been enjoying Ruth Reichl’s writing for years. It started with Garlic and Sapphires − her account of her time as the New York Times’ Restaurant Reviewer. It was the book that propelled me into two new reading loves: food writing and beautifully composed autobiographical writing (if you have ever been turned off autobiographies by reading something written by, say a former Head of State, then try one of Ruth’s delightfully crafted books). I tittered when I met her for a book signing after her session at the 2008 New Zealand Writers and Readers Festival here in Wellington. I’ll do my best to be impartial, but, well, you are dealing with a fan here! Delicious! is Ruth’s first fiction work. The protagonist, Billie starts working for Delicious! magazine − a few weeks before it is shut down. She is the sole member of staff retained and her job of answering calls and letters about published recipes, leaves her plenty of time to explore the heritage building that housed the magazine. She discovers a trail of correspondence hidden throughout the files of Delicious! between a twelve year old girl and James Beard (a real chef). This framework is then filled with completely-drawn supporting characters, details of cooking challenges during World War Two, puzzles, grief, wisdom, the underground railroad and journeys of personal discovery. On the first reading there were some traits of Billie that bugged me. In a similarity with ‘chick lit’ novels she is unsure of herself, very beautiful (not that she knows it) and everyone who meets her instantly takes her under their wings, showering jobs and time on her. Her romance in the book also follows a familiar path. However, Billie’s character, while superficially finishing the book in a manner familiar to female characters, goes through a lot to get there. Her character comes of age, and the development of Billie rings true – if the same character was ten years older then the story couldn’t have happened as it did. A couple of times I felt that the book was a little too much. It is very detailed, obviously well researched and not at all pretentious in the use of this research to flesh out the story or characters. But everything is well-detailed. Every character has a story. Initially this was overwhelming, but ultimately I appreciated the work that went into the story. There was so much to take in, every page in the book worked hard to further multiple stories. When I finished the book I was quite astounded at the journey the story took. A small thing that fans of Ruth Reichl’s writing may enjoy: a couple of familiar ingredients and phrases from her previous books appear. 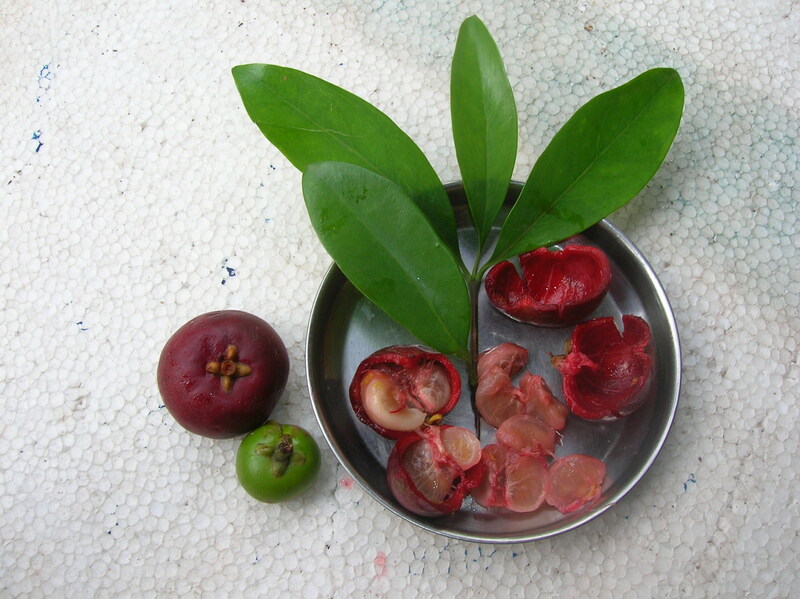 I’m determined to get hold of kokum (above) and try it. And one day I hope to brave enough to say to a Japanese chef ‘I am in your hands’ and allow the menu to be decided for me! The book is so many things! A mystery. Food writing. Love and family. Passionate people sharing their obsessions with people. It was quite a whirlwind. 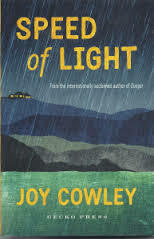 A great book for someone wanting to escape into a beautifully woven story.